After a long wait, Ford India’s President, Nigel Harris has said that the Ford Mustang, an iconic “symbol of optimism and confidence” will be launched for the Indian market at some point this year. The India model will look to retain its key design elements including the long hood and short rear deck. 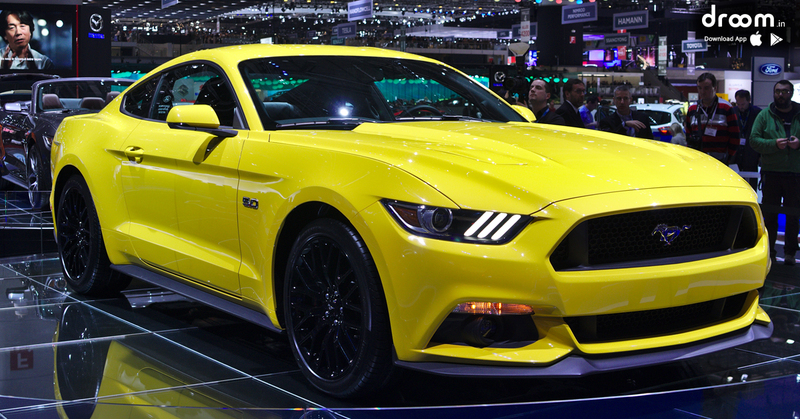 A lower, wider stance with a reduction in roof height, wider rear fenders and track give the Mustang it’s iconic low slung look. Additionally, the interior is designed like an aviation-inspired cockpit. Overall, it looks like the modern beast it sells itself as. The Mustang is equipped with 5 liter V8 engine with an upgraded valvetrain and cylinder heads which produce maximum power of 420 horsepower and 529 Nm of torque. Interestingly, this is still 40BHP less than the Mustang sold in the U.S. Unfortunately this is necessary as it’s V8 engine needed to be modified to function smoothly with the lower quality of fuel available in India, which had a noticeable impact on power output. Additionally The Ford Mustang also has SYNC connectivity which allows the driver to control in-car entertainment using voice commands. Other smart features include navigation, push button start, passive entry, power folding mirrors and a rear camera. It has been priced at Rupees 65 lakh.